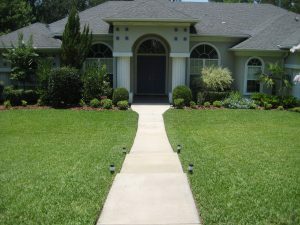 Gainesville Lawnscaping offers several full service lawn care maintenance packages that can be customized to meet your needs. We understand that there is a big difference between “mow and go” and full service lawn care. Our trained field technicians are uniformed, courteous, and dedicated to superior customer satisfaction through our full service packages. At Gainesville Lawnscaping we want your yard to be the talk of the neighborhood, so give us a call at (352) 505-3411 to schedule a risk free estimate for your lawn maintenance needs. Lawn care packages may include grass mowing, edging, shrub trimming, string trimming, tree trimming, plant bed weeding, and more! Contact us today for a free full service lawn care estimate.